Taipei in recent years has been demanding to be paid attention to as a cultural hub of Asia, and with venues like Indulge Experimental Bistro, it’s easy to see why. With its unique melding of cutting edge culinary techniques, avant garde interpretations of classic cocktails, and speakeasy decor, it’s evident that Indulge is a bar on the Taipei food scene that demands to be paid attention to. 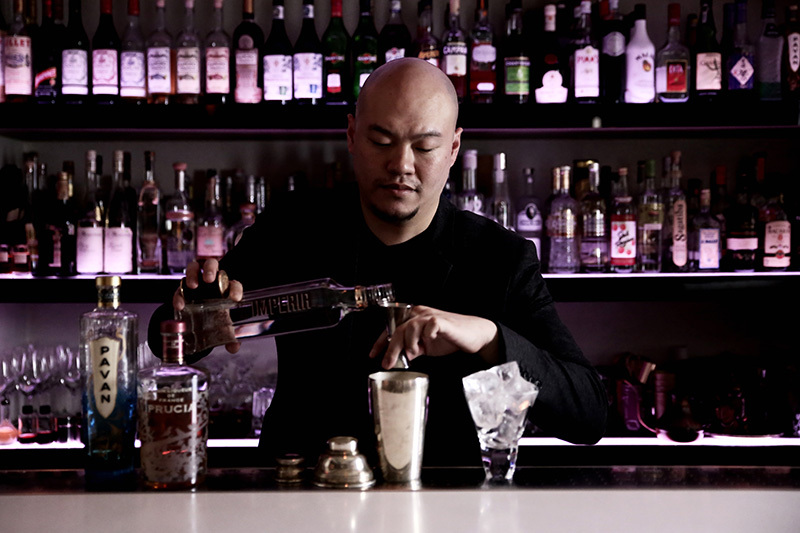 Aki Wang, owner of Indulge, is at the forefront of Taipei’s exciting cocktail scene by taking international bar trends and gives them a Taiwanese flair. This is evident in his use of the classic speakeasy aesthetic oft seen in bars, but combining it with classic Taiwanese touchstones to make it a uniquely Taipei restaurant. There are few places like Taipei that are at a confluence of rising visibility and exciting cultural innovations, and Indulge Experimental Bistro is definitely to thank in part for that.